Date January 24, 2016 . 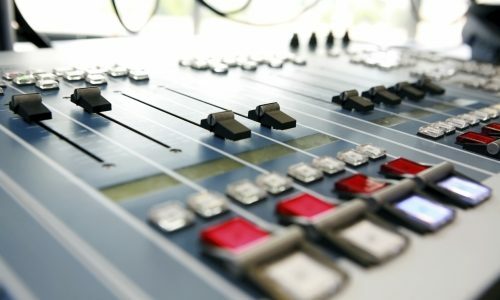 The Irish people have a very unique relationship with the radio, with 8 out of 10 adults listening to it every day, making it a great platform for artists to connect with – and be listened to – by 3 million people daily. 86% of adults listen to radio on the average weekday, with people listening for over 4 hours a day and this figure is on the rise. For many decades, commercial radio airplay has been highly coveted by songwriters, musicians and record labels alike because of its enormous promotional power and reach. It has been well understood that consistent commercial airplay accompanies significant music sales, generates public performance royalties, and burnishes a recording artist’s profile. Radio continues to be be an important element of many artists extended marketing strategy. Level 3, Unit C, Monksland Business Park, Athlone, Co Roscommon. Please note the general output of RTÉ 2XM before sending in material. Genres: Techno, trance, house, disco, drum ‘n’ bass, commercial dance, breakbeat, minimalist. Please note the general output of RTÉ Pulse before sending in material. Format: CDS. Preferably current singles or a specific track on the album that the artist wishes to highlight. Note the general output of RTÉ 2fm before sending in material. Please note the general output of RTÉ lyric fm before sending in material. Genres: Traditional/Folk Music is of particular interest. Please note the general output of RTÉ Raidió na Gaeltachta before sending in material.